David Young: Workers’ Compensation Networks – Will There be Change in a Post Health Care Reform Era? With the flurry of media attention on Health Care Reform, these past few weeks particularly, one thing seems clear – the impact of reform on Workers’ Compensation remains to be seen. However, thinking that there will be no impact would be imprudent. According to the old adage, “one thing is certain, and that is change”. Much of the change that workers’ comp networks may encounter would directly result from things happening in the general health care industry. First and foremost, our nation is experiencing a significant shortfall of graduating physicians. Experts have warned that there will not be enough doctors to treat the current patient mix, let alone an additional estimated 30 million newly insured individuals that could result from the individual mandate…if it stands. The Association of American Medical Colleges has gone so far as to say that the shortage could reach 150,000 doctors in the next 15 years, with the greatest demand being for primary care physicians. A shortage of primary care physicians could mean less access and longer wait times, and, depending on reimbursement and other factors, could affect workers’ compensation patients first. The ultimate impact will vary by state and will be affected by the provider’s desired patient mix, the workers’ compensation reimbursement in the state, the relationships that the provider has with other product lines, e.g., commercial insurance and Medicare, and the administrative burdens associated with each of those relationships. There is also concern that significant modifications to Medicare reimbursement rates, through the Sustainable Growth Rate (SGR) formula could impact access, however it is difficult to predict its impact on workers’ comp. While Congress has consistently voted to override the annual reimbursement reductions set forth through the SGR formula, and most recently modified it for this year, the cumulative impact of the SGR formula is a reduction of approximately 30% to Medicare rates. Each time Congress votes to override or modify the annual reduction, the impact must be funded, and we are all very aware of the vehement disagreements in Washington on how anything gets funded these days. Because of the relationship between Medicare reimbursement and workers’ comp fee schedules in a number of states, state regulators would be wise to closely monitor this situation, and insulate the fee schedules from any possible impact. Let’s consider yet another developing scenario –- physician groups are creating partnerships with health care delivery systems and in turn these systems have more leverage when it comes to reimbursement. While this is not specific to workers’ comp or even networks, it is a trend worth acknowledging. These systems may choose to manage their patient mix more closely based on the combination of products they participate in, the financial arrangements being offered and the administrative burdens inherent in those relationships. Providers and payors (and their networks) must mutually benefit from these relationships in order for them to be sustainable. So while the primary care physician shortfall is on the horizon and reduced access seems a possibility, strong provider relationships with health systems and physicians will be more important than ever. David Young is the Chief Executive Officer of Coventry Workers’ Comp Services. 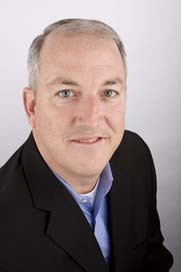 Since joining Coventry in 2007 he has served as Senior Vice President of Networks, responsible for the network expansion and integration of the First Health and FOCUS networks as well as Chief Operating Officer responsible for the oversight of the daily operations within the network, care management, and pharmacy products. Prior to joining Coventry, Mr. Young was President of Concentra Network Services. Additionally, he held the position of Chief Financial Officer at Community Education Partners, a private education company that built and ran alternative schools and also served as Director of Mergers and Acquisitions for Radiologix, Inc.
David is a graduate of Texas A&M University with degrees in Accounting and Finance and served in the United States Marine Corps reserves from 1983 through 1989. Coventry Workers’ Comp Services, a division of Coventry Health Care, Inc. (NYSE: CVH), is the leading provider of cost and care management solutions for property and casualty insurance carriers, (workers’ compensation and auto insurers), third-party administrators and self-insured employers. We design best-in-class products and services to help our partners restore the health and productivity of injured workers and insureds as quickly and as cost effectively as possible. We accomplish this by developing and maintaining consultative, trusting partnerships with our clients and stakeholders, built on a foundation of innovative and customized solutions that support the claims management process.